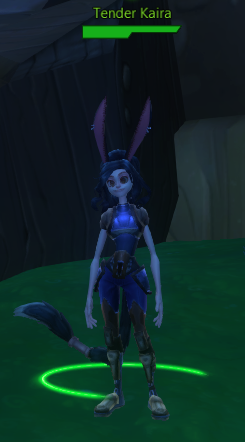 I’ve been playing WildStar for about six weeks, and I’m still enjoying the game immensely. I really see this as a game that I could play for quite some time, especially since Carbine seems to be dedicated to providing consistent content updates. 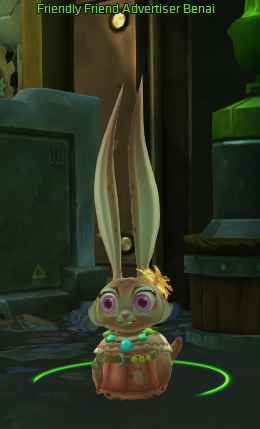 My favorite things about WildStar aren’t really the big things like end-game content or storyline, but they are mostly the little things that come together to form a very fun experience. 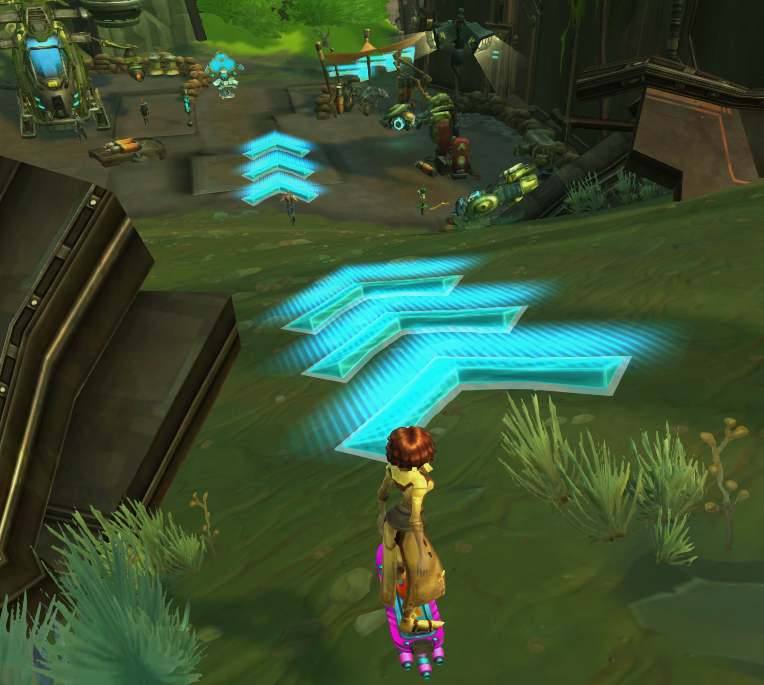 If you’ve read my previous blogs and/or tweets, you probably know that I love WildStar’s housing! I knew in the beta that I would like housing, but I didn’t have the gold or time to experiment with it much. It has become my hobby and obsession! In other games, there isn’t much to do when you are between tasks or only have a few minutes to play. In WildStar, you can go to your housing plot and do some interior design, run a few challenges, collect gathering materials and crops, or visit neighbors to see their newest additions. I could go on forever about housing (just ask my hubby)! 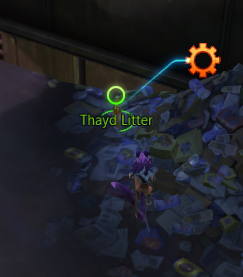 I will say that WildStar has set the bar extremely high for other games, and it is going to be really tough to find a game that comes close to the richness of this player housing system. A view from the top of the moon tower on my esper’s “city block” house. 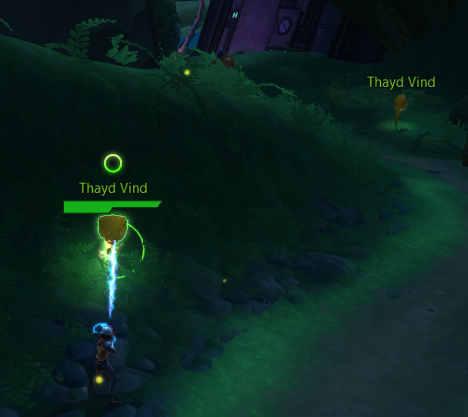 From your housing plot to the end-game daily questing zone, challenges can be found everywhere on Nexus, even scattered throughout the capital cities (see my post on the challenges of Thayd). I love that challenges are short, usually pretty easy to complete, and very rewarding. Want to grow your dye collection? Challenges can help. Looking for some items to get your house looking fabulous? Try running some challenges. Feeling a little lazy and don’t want to farm for tradeskill mats? Do a few challenges instead. 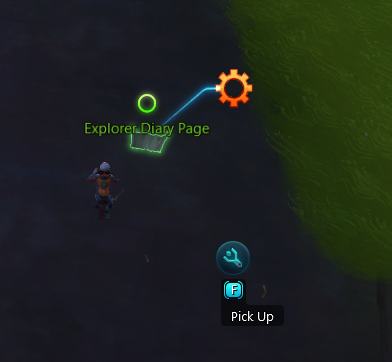 My favorite thing about challenges that I’ve recently discovered is how they are seamlessly woven into the end-game questing areas. I usually hate running dailies and can’t stand the monotony. 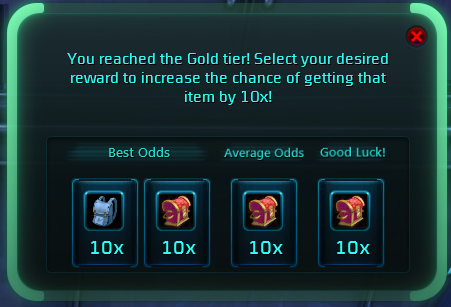 In WildStar, I can complete challenges while I run the dailies and get even more great loot! For anyone who is an uber challenge nerd like me, the Challenger addon is a necessity. I’m not a fan of violent, angry games. My feeling is that there is enough violence in the real world, so I don’t need it in my virtual world. 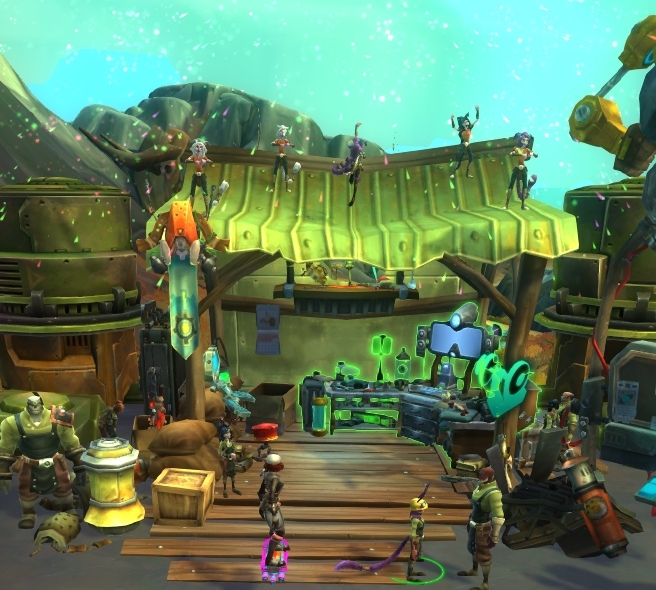 WildStar has it’s share of bad guys and violence, but it’s not a dark and twisty game. It has so many lighthearted moments in its story, characters, and artwork that I often find myself laughing out loud while I’m playing. 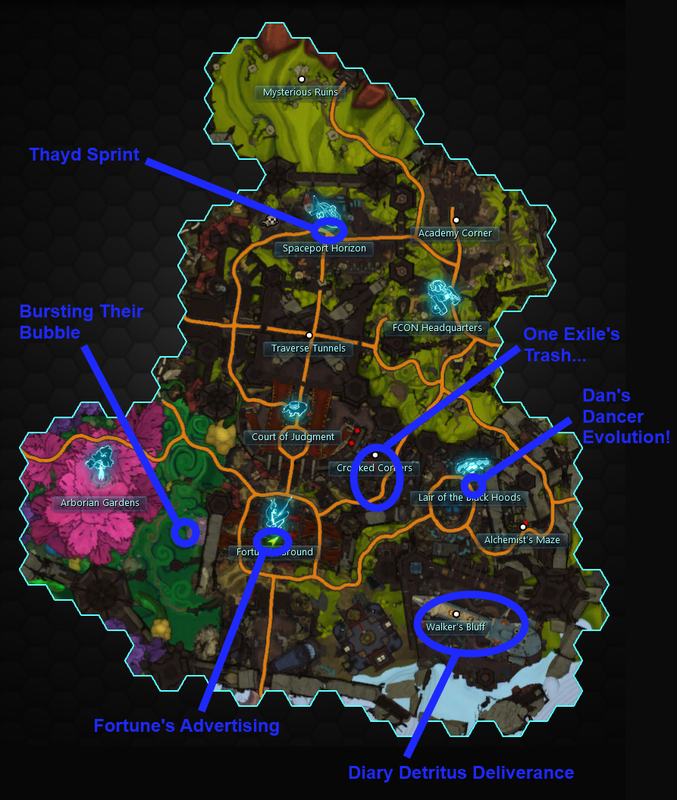 The entire Lopp race is a good example. 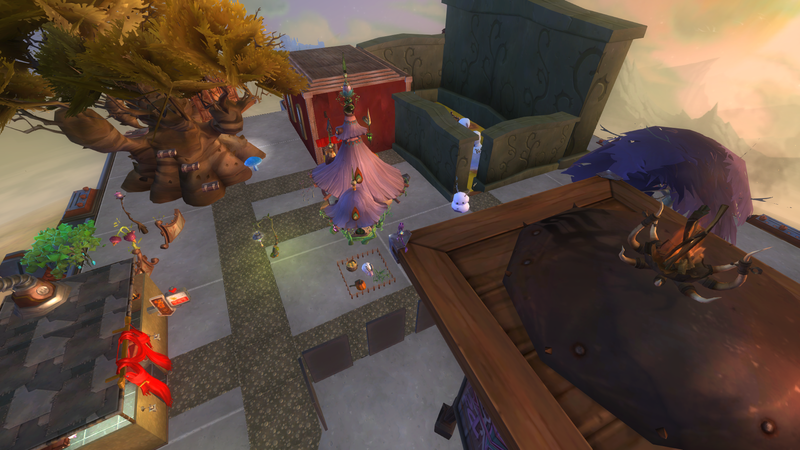 My settler “built” a concert for the Aurin girl band, Pumera Riot, on top of a building. In many MMOs, you have to click on a corpse to get your loot. In WildStar, your loot explodes out of the corpse into the air! The loot that you receive has a color glow based on its rarity. So if you receive an epic item, you’ll see a glowy purple item on the ground. To make it even more fun, when a blue-quality item or higher drops, you’ll hear a fun whoosh sound to notify you of the drop. This might seem like a small thing, but I love my loot. I really enjoy watching the loot explosion after I kill things. And seeing a glowy purple piece of loot waiting for me is very exciting! 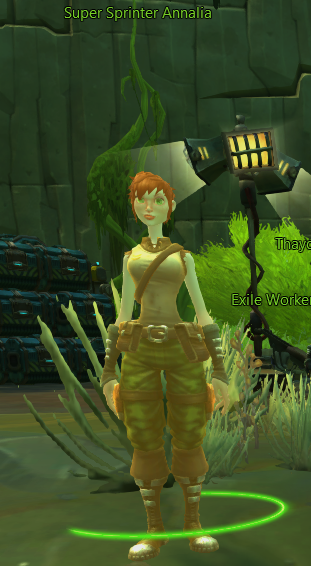 My last item on this list can’t be found in the game, but it greatly affects my enjoyment of WildStar. Carbine’s open and honest communication with their players is so refreshing and greatly appreciated by this subscriber. When they mess up, they are the first ones to say so and explain what happened. They tell us when to expect changes and content without being vague and dodgy. They answer questions and talk to players on social media. They have frequent livestreams, which provide a ton of information and let us see the people who are working on WildStar every day. 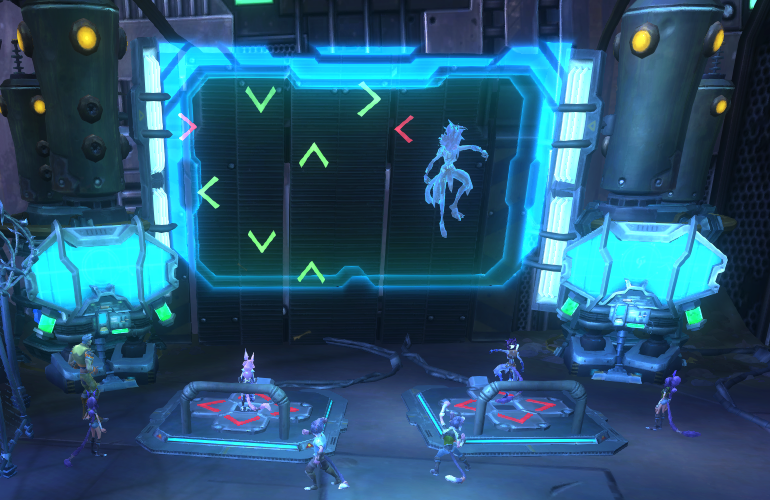 I can’t say enough about my admiration for how Carbine is running this game!